A Bit of a break: Tasting Evening time! Hi readers, I’m writing this just as I finish up some annual leave from the shop (they have to let me out to play, every now and again!) As luck would have it, I happened to be off when we had one of our trademark Turmeaus tasting events in Chester, so for the first time ever, I was able to attend one as a guest with Jo and her nephew Kaelan (who some of you may now know as an occasional staff member in Chester) It was great to see this from a customer perspective. We started the evening in what is now our traditional way: A round of delicious coffee and a light and creamy H. Upmann Half Corona to get everyone’s taste buds ready and raring to go. I absolutely love Upmanns and the half corona is a genius idea IMO. Its diminutive 3 ½” length makes for a quick and easy smoke, but the slightly larger than average (for the length) 44 ring gauge allows the blender more freedom to express the classic Upmann profile, in a less restrictive way than the 38-42 gauges that are usual found in sub-4” cigars. They also paved the way for the growing family of more substantial cigars that measure up at 4” or under, including the Montecristo Media Corona (3 ½” x 44,) The Partagas Serie D No.6 (3 ½” x 50) and the Cohiba Medio Siglo (4” x 52). These are all perfect cigars for a satisfying smoke that can be enjoyed quickly! Next up was the main course; another new-ish cigar and another with instant-classic potential, the Hoyo de Monterrey Elegantes. Elegantes are made in the double figurado style (pointed at both the foot and the head) which means the flavours develop slightly differently than a regular parejo – or straight sided – cigar. I’ve had a few customers express concern that the shape might be more susceptible to being plugged or generally not having a good draw, but every one of these that I’ve had have been perfect. While the shape may be more difficult to roll, the positive side is that you’re more or less guaranteed that it’s been rolled by a higher-grade roller, when compared to something like a Mareva or Robusto, that less experienced rollers often produce. The Elegantes will give you the classic woody Hoyo taste, but revealed gradually up to its thicker point, before mellowing (but also getting sweeter) as you approach the foot. Deeeeee-licious! If you’re into more full bodied cigars, the Partagas Presidentes shares its dimensions with this cigar (known as a “Taco” in Cuba’s factories) and has a lot more hair on its chest. 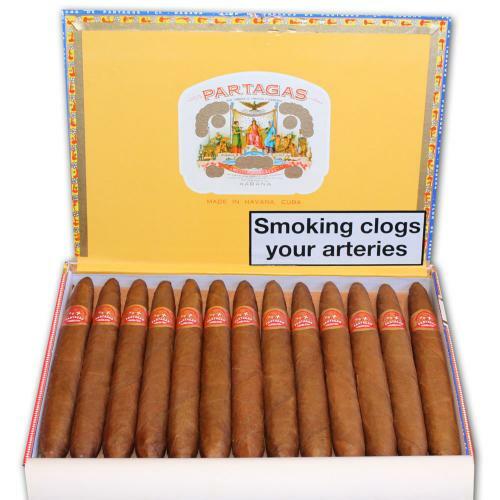 If you’re feeling especially bold, check out the beefed up Partagas Salamones, an enormous double figurado (7 ½” x 57) which is extremely full bodied (even by Partagas’ standards) and is constantly at the top of our staff favourites list. Naturally, it’s inhumane to separate cigars and alcohol, so we had the option of a selection of drinks. Either a flight of Scotch or a flight of Rum. I usually go for whisky, but this time I pinched a taste of some of Jo’s Rum and I’m very close to being converted. 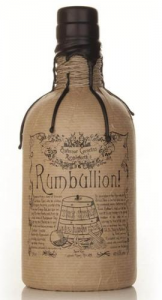 I was especially impressed with Ableforth’s Rumbullion. From its striking bottle with a dripped black wax seal, to its supremely rich, almost liqueur-esque, syrupy sweetness. Follow it up with the insanely good value Flor de Cana 7 year old, a delicately sweet Nicaraguan Rum and the classic Cuban Ron Mulata 5 year old and I may well be converted! Naturally though, I stuck to my old faithful whisky and enjoyed drams of Glenkinchie Distiller’s Reserve, Benromach 10 year old and the exclusive Ledaig 2008 (A Robert Graham Dancing stag bottling). I was particularly impressed with the Ledaig; I’ve only recently been won round by peated whisky and found it to be extremely approachable, with a subtle yet satisfying level of gentle smokiness. Would definitely recommend it to anyone who is interested in dipping a toe into the world of peated whisky. That wasn’t the only tasting going on during my time off, but I’m going to save that for my next blog, as it’s particularly awesome!